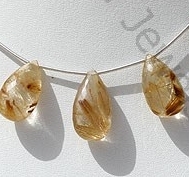 Recognize the intense spiritual aspects of yourself with 100% pure and authentic golden rutilated quartz flat pear briolettes gemstone beads. 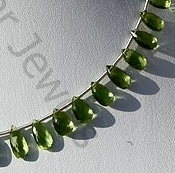 We, at Ratna Sagar Jewels, strive to deliver supreme quality precious and semi-precious gemstone beads around the globe. 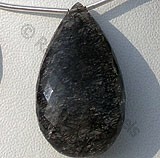 Our expert craftsmen use cutting-edge technology to design and create unique and beautiful flat pear briolette shaped stones. 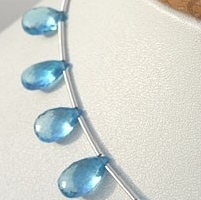 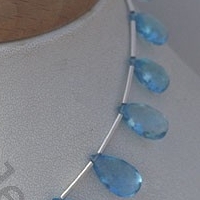 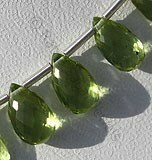 All our gemstone beads are tested and heat treated. 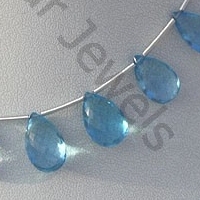 We supply micro flower cut and micro cut Blue Topaz Gemstone, Natural Black Rutilated Quartz Gemstone, Peridot Gemstone, Natural Sleeping Beauty Turquoise and Larimar Gemstone. 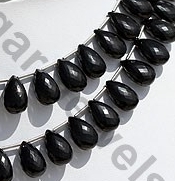 You can buy customized gemstone beads in different colors like blue green mineral, sea-blue, olive-green, thick black, transparent blue and much more at affordable price! 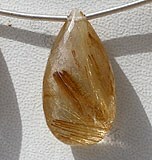 Browse through our wide assortment of beautiful and top quality flat pear briolette shaped stones. 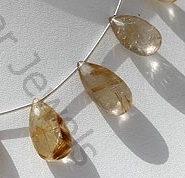 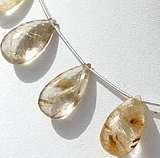 Natural Golden Rutilated Quartz Gemstone possesses property of transparent Quartz consist sparse Golden yellow Rutile hairs with micro flower cut, Flat Pear Shape. 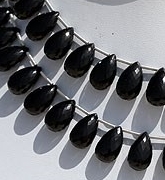 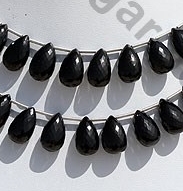 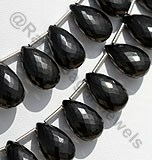 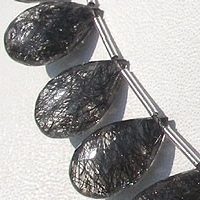 Natural Black spinel Gemstone Beads possesses property of opaque and is available in Black Color with Micro Flower Net cut, Flat pear Briolettes Shape. 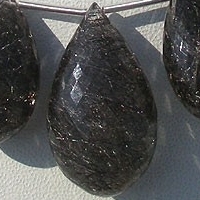 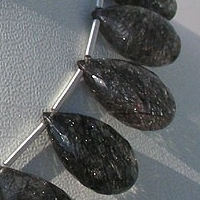 Natural Black Rutilated Quartz Gemstone possesses property of transparent Quartz consist thick black Rutile hairs with Micro Flower Cut, Flat Pear Briolette Shape. 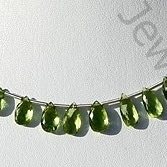 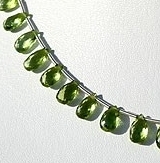 Peridot Gemstone is a variety of mineral Olivine, possess property of transparent with vitreous luster and are available in olive-green color with micro cut, Flat Pear Shape.